My thoughts on selling have changed dramatically over the past 2-3 years. At first, I held back. I didn’t feel comfortable selling what I offered. I guess this is because most people think about the worst type of used car salesmen when they see the word ‘sales’. Or Alec Baldwin in Glenn Garry Glenross (warning: strong language). Selling isn’t something we’re taught in school. It’s not something that we are taught in language schools. But as an online teacher, you’ll have to sell. What’s interesting is that we’re constantly selling. When I put the case forward for going to my favourite restaurant (an Indian restaurant here in Asheville, in case you were wondering) I’m selling my wife on the experience we’re going to have. You sell yourself in job interviews. Kids sell their parents on staying out later. I read a comment on the Guardian recently that was arguing against selling. He/she did a good job at selling their point of view. The good news is that there are ways to do this in way where you don’t feel terrible about it. But first, let’s talk about why you need to sell. You need to sell because no one is going to do it for you. Having great lessons or a course that is going to change the world isn’t enough. You need to let people know how valuable your lessons are and why they should sign up. I know this can be frustrating as the majority of teachers I talk to want to focus on teaching. But the reality is that you need to convince people to buy what you offer. You need to sell because if you don’t, your learners won’t have confidence in your product or service. They need to see that you believe in your product (more on this later). If you don’t talk about how amazing you are, no one will think that you can help them. If you don’t get excited about your lessons, your learners won’t. Show enthusiasm for your product/service and don’t hold back. You need to sell because you need to earn an income. This is obvious, but worth stating. If you want a full schedule or to have people buy your course, you need to make an effort. You need to get people fired up about what you offer. You need to make sales in order to earn a good living. And…. you need to sell all the time. 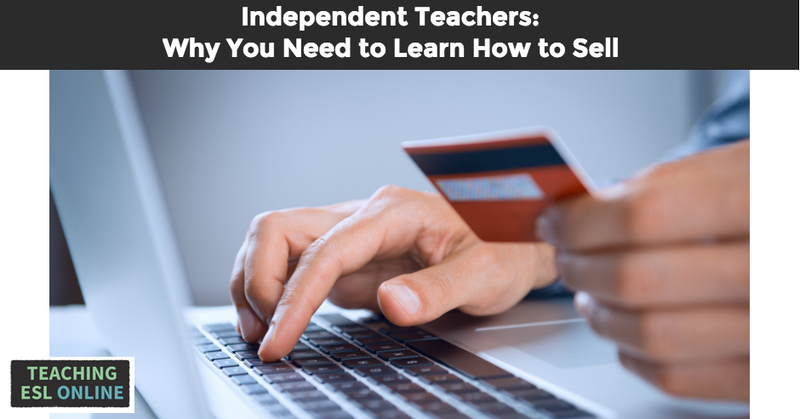 It’s not just our lessons that we need to sell. Want people to click a link? Sell them on it. Want people to sign up to your email newsletter? Sell them on it. Want people to share your post? Well, you get the picture. Here’s one more example: I get many emails from teachers or business owners wanting me to take a look at their new app, their new site, or their product. Nine times out of ten the email is generic and doesn’t even include my name. When I get these emails, I delete them. The person isn’t making an effort to sell me on their offering or them as a person. But someone who has taken the time to learn about me and modifies their message gets my attention. I immediately have more faith in this person and what they have to offer. Last night, I watched a live ‘scope’* from someone who I was unsure about. 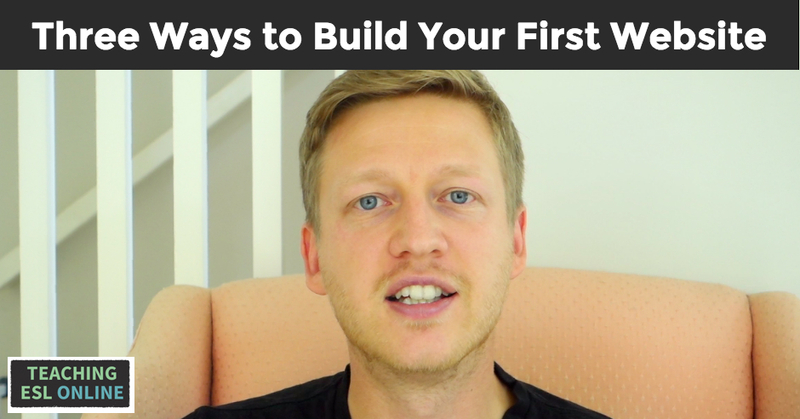 He is an online entrepreneur who has become successful over the past couple of years. 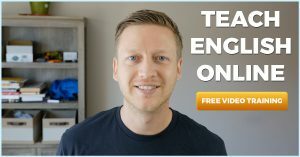 During the live session, I was blown away by how valuable he was – he answered so many specific questions and helped me solve a problem that I had been struggling with. That ‘scope’ changed my mind about him as a person and the brand he represents. There was no sales pitch during the stream. But I am more likely to buy a product from him in the future. He was connecting with his audience and selling himself through providing lots of valuable information. This is an example offering something for free in order to build your brand. The same entrepreneur also sells hard during a promotion. As do I. But most teachers don’t execute when it comes to getting people inside their lessons. When I launched my course for English learners, I sent out five emails over four days. On the last day, I sent one in the morning and one just before the course closed. It was hard to do this because I didn’t want to come across as too pushy. However, I was surprised at the amount of emails I received from those who didn’t sign up but still thanked me for the opportunity. People procrastinate on buying stuff. It’s your job to convince learners that what you offer can help them. And you need to remind them consistently. 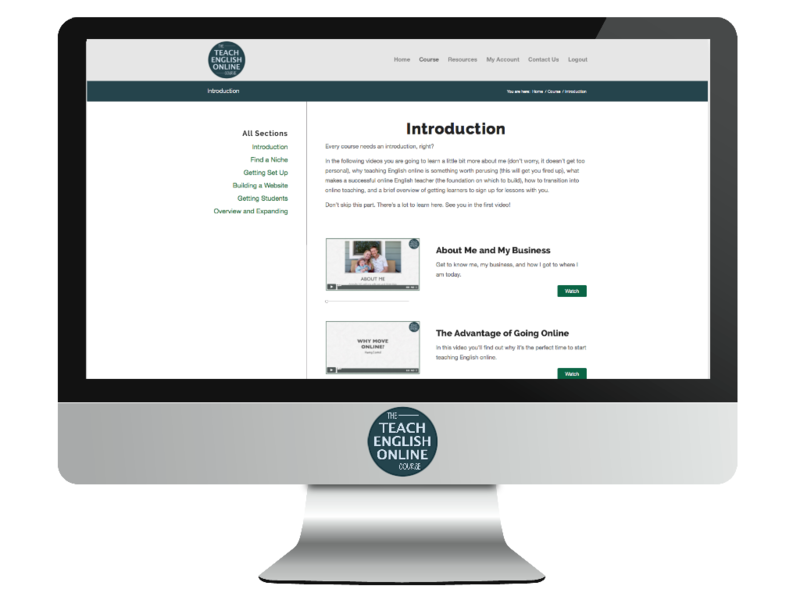 40% of those who signed up for my course made the purchase on the last day. 5 emails over 4 days might sound like a lot, but you’re missing out on a lot of income if you don’t push this. How hard you sell depends on you, your audience, your product, and how much you believe in what you’re selling. That last point is key: in order to have the confidence to sell, you need to have confidence in what you’re selling. I am very proud of the products I have – they have helped change people’s lives. And I think this confidence shines through in my sales pages and emails. The good news is that you can always improve upon what you have. You can improve your lessons, course, YouTube videos etc. 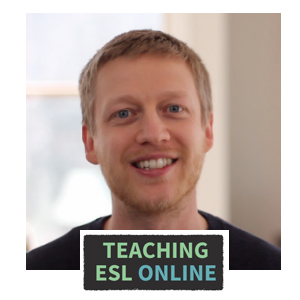 For example, I have just added 21 new videos to my course for English learners. I plan on adding more next month too. As you get better, improve your offerings, and see positive results, your confidence in what you offer will increase. And when someone who would benefit from your course gets in touch, you’ll have no qualms about telling them how much it will help them. One last thing: be yourself when you’re selling. Use words you normally use and do it in a way that feels right to you. 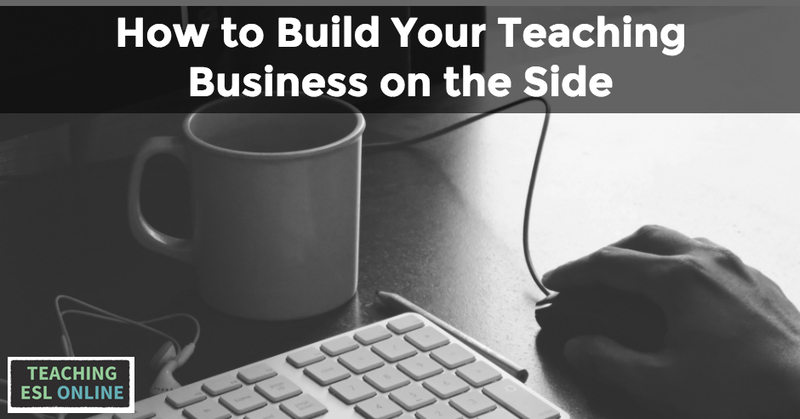 Because as an online teacher, you’re selling people on you as a person in addition to the products you offer. Has the way you sell changed over time? How do you feel about selling what you offer?